The only thing Canadians love more than the idea of Justin Bieber sexting with Carrie-Anne Moss from the bathroom of a Tim Horton's are meese dressed up as Mounties. Also, Molson beer. 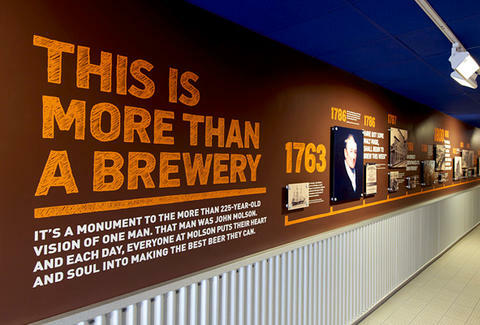 And now, for the first time ever, you can actually see and drink in the hulking 500,000sqft brewery where those famous Canadian suds are made, all thanks to Vancouver Food Tour, who've also got the perfect night planned for once you're done. If you're thirsty for more, after the tour VFT will take you drinking/eating at four sweet spots (a brewpub, a swanked out cocktailery, and two not-for-tourists restos for apps/dinner) all in historic Gastown, which thankfully isn't just any old Tim Horton's bathroom.